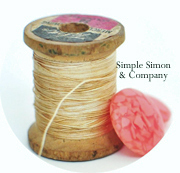 Does anyone else have trouble turning corners with their serger? 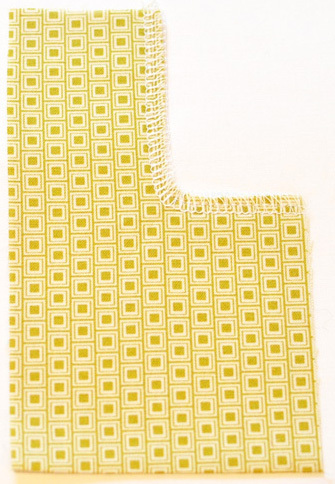 It’s not often needed in woven fabrics because you need to clip the corners anyway, but with knits you do need a way to serge into a corner! 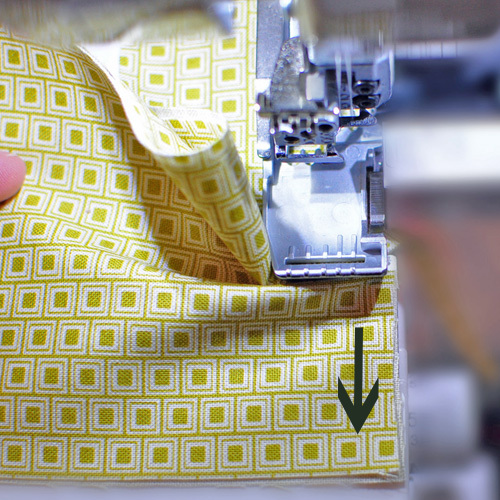 A few months ago I was at a class of an expert sergist (ha….I think that is a new word) and she taught us this little trick to overlock around corners in one continuous line. I immediately went home and practiced, and although I am not an expert like she was—I have used this tip time and time again the last couple of months. Serge down the first side of the corner and stop when the blade “nips” the corner. Then stop stitching! Remember to watch your blade here and not the end of your serger foot. 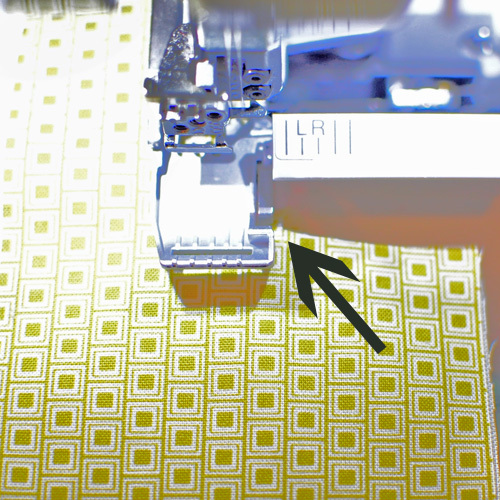 Follow the arrow in the photo below and you can see that the blade is ready to cut into the edge of the second side; that’s where to stop serging and get ready to pivot your fabric. 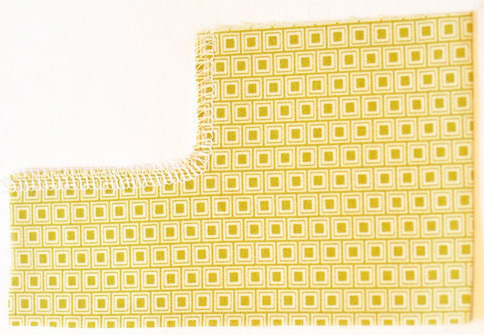 Position the raw edge to make a straight line with the just-stitched edge as shown in the picture below. 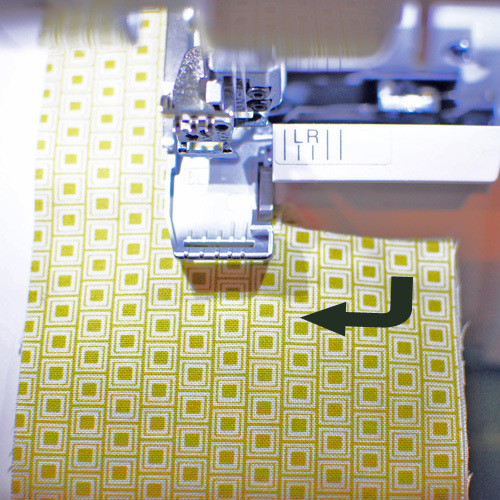 You can then continue serging, making one continuous stitching line around the corner!